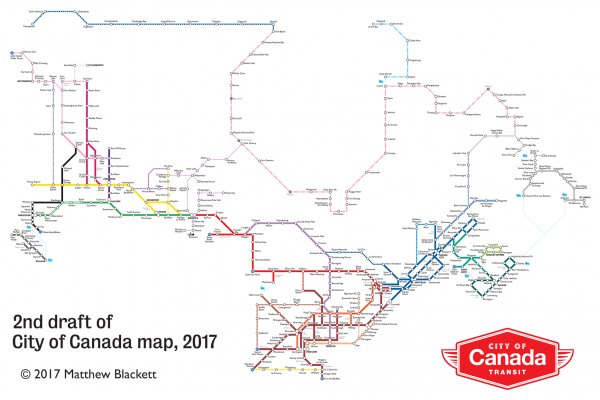 EDITOR’S NOTE: On Canada Day this year, Spacing’s creative director Matthew Blackett published a map of a fictional City of Canada in the Toronto Star. This is a follow-up post. 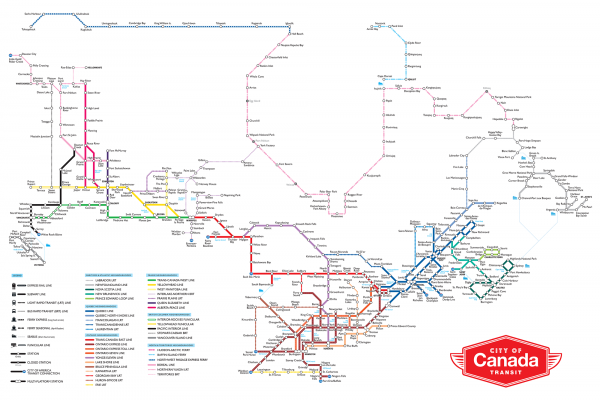 You can buy a print of the map at the Spacing Store. 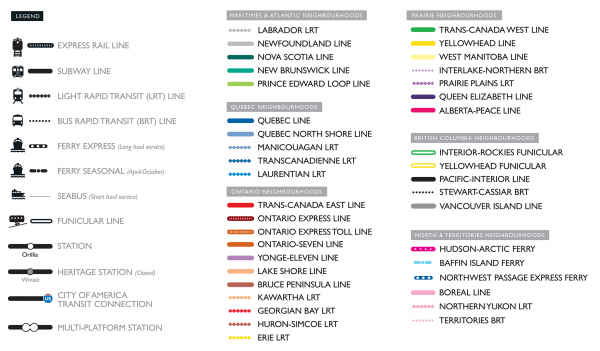 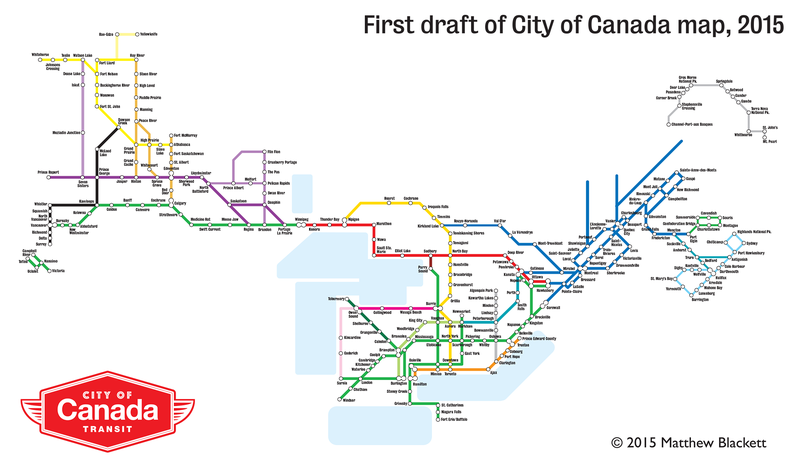 I began to think about the concept of the City of Canada in 2010 after I had published two transit maps in Spacing magazine that re-imagined Ontario and the Maritimes as cities. 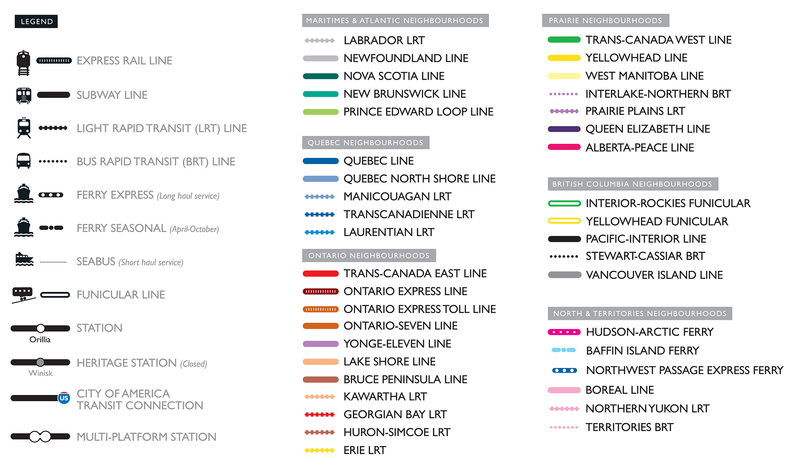 In both cases, I used the existing highway networks as my guide for the routes. These two maps were the jumping off points for me to start thinking about a national map. 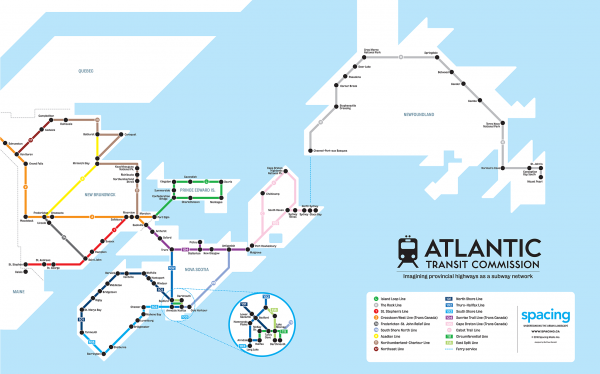 As a certified transit nerd, I love absolutely everything about this. Thanks for sharing.